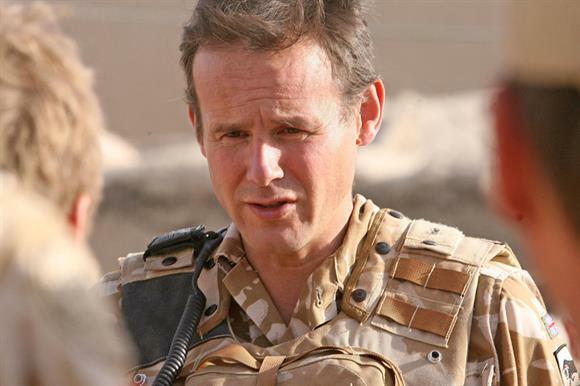 The landmine clearance charity the Halo Trust has announced the appointment of Major General James Cowan as its new chief executive after the resignation of the former chief executive and co-founder Guy Willoughby in August last year. Cowan, who commands the army’s 3rd UK Division, will be leaving a 33-year army career to lead the charity from April. Willoughby resigned shortly after he was suspended by the charity following a breakdown in relations between him and the board. A spokeswoman for the charity declined to reveal details of Cowan's salary package but said it was "in line with the heads of charities". Cowan's remuneration will not include school fees for his three teenage children, although it was part of his predecessor's agreed salary package. Cowan, who was appointed after a competitive recruitment process, read modern history at Oxford before being commissioned into the infantry battalion The Black Watch in 1987. Last year he was the focus of newspaper reports that said he had sent officers a three-page letter criticising standards at Bulford Camp in Wiltshire and offering etiquette tips after he had noticed officers were eating sandwiches with their hands and failing to stand when commanders entered the room. According to The Sun newspaper, the letter said: "Quite a few officers in the divisional mess seem to be under the impression that they can eat food with their hands. The practice of serving rolls and sandwiches must stop." Commenting on the reports, a spokeswoman for the Halo Trust said: "The letter was sent in a light-hearted manner. That said, good manners never hurt anyone." Amanda Pullinger, chair of the Halo Trust UK, said that Cowan’s understanding and experience of working in conflict zones, together with his knowledge of running large programmes and projects, would be invaluable to the charity because it planned to extend its work. "James will bring his incredible professionalism to bear, leading and shaping our future programme of work," she said. "Through 2015 and beyond we are focused on building on our successes to date and extending our work into new regions and pioneering new techniques to continue to reduce casualties." The Halo Trust has its headquarters in Thornhill, Dumfries and Galloway, an office in Washington DC in the US, and teams working in about 17 countries and territories. Cowan said: "After more than 30 eventful years serving in the British Army I am ready to move on to a new challenge. It is with great pride and excitement that I join the Halo Trust, an organisation that is bringing about real and lasting change to parts of the world living with the legacy of conflict. The staff at Halo are highly skilled and highly dedicated and I look forward to being a part of that incredible team." - The article was updated to clarify the circumstances around Guy Willoughby's departure from the charity.